For college students, it's one thing to figure out what you want to study, and something else entirely to figure out what to do after you graduate. With the rise of popular television shows, such as CSI, Criminal Minds and Law & Order, many people are becoming attracted to careers in criminal justice and criminology. As a result, students are pursuing majors in related fields. After graduation, though, many are left scratching their heads wondering, "what can I do with a criminology degree?" Below are some of the most notable criminology careers. For those who haven't yet decided what to study, it's important to distinguish between criminology and criminal justice. Though they are complementary fields of study, they focus on different sides of the same coin. People who study criminology look at crime as a social phenomenon and thus a social problem. They study all aspects of crime and its effects on society as a whole. Students of criminal justice, on the other hand, focus on the system in which crime is detected, prosecuted and punished. Criminology careers tend to be more academic in focus than those in criminal justice, though there is some overlap between the two. It is also not uncommon for a person to earn a bachelor's degree in criminal justice and a master's in criminology, or vice versa. Many of the nonacademic careers available in the criminology field may not require any college training at all. These often overlap within the realm of criminal justice and are typically entry-level jobs. A degree is far more conducive to future advancement and will often mean the difference in getting hired or promoted. Perhaps the most notable career available to criminology majors, of course, is that of a criminologist. 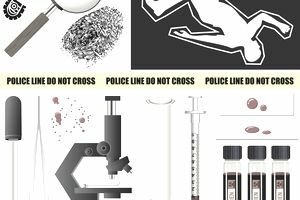 Though a master's or doctorate degree is typically required, criminologists specialize in a number of different areas, such as environmental criminology. Criminologists may work as college professors or as advisors to state legislatures or Congress. They help form public policy as it relates to the prevention of crime. They often work closely with police departments to help them better serve their communities. To work as a forensic psychologist, a master's degree or a doctorate in psychology will often be necessary, in addition to any undergraduate degree earned. Crime impacts nearly every aspect of society. As a result, nearly every industry has a need for investigative services, loss prevention or fraud protection. In addition, a degree in criminology can lay the foundation for other related careers, such as attorneys, counselors and social workers. Perhaps more important than the financial benefits, though, is the knowledge that the work one does in the field of criminology or criminal justice helps improve communities and society. People who earn criminology degrees have a unique opportunity to make their world a better place.